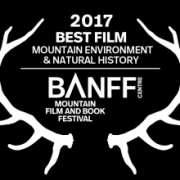 With great joy we announce the selection of ‘Samuel in the Clouds’ for its Argentinian premiere at the fourth Festival Internacional de Cine Ambiental (FINCA)! 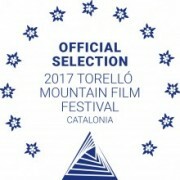 The film was selected within the non-competitive section ‘Climate Justice’. The festival takes place in Buenos Aires from May 30th until June 6th 2018 and the film will be screened on June 6th at 02:00 pm. Good news for viewers from Belgium, France, Luxembourg and Switzerland: as from today, ‘Samuel in the Clouds’ will be available through the SVOD platform Tënk! This platform is dedicated to documentary film and will add ‘Samuel in the Clouds’ to their catalogue from now until March 24th, 2018. Check it out! We are very happy with the selection of ‘Samuel in the Clouds’ for the 4th edition of the Peloponissos International Documentary Festival! The festival with social and human rights orientation, will be held in Kalamata, Greece from January 24th until February 3rd 2018. ‘Samuel in the Clouds’ will be screened on February the 3rd and is eligible to win two public awards. 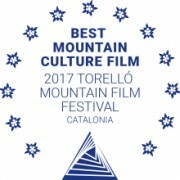 We are very excited that ‘Samuel in the Clouds’ has been selected for the official selection of the 35th edition of the Festival de Cinema de Muntanya de Torelló, Spain! The screening will take place on Saturday November 11th at 09:30 pm. Moreover, the film will have its Slovakian premiere at the Adventure Film Festival HoryZonty in Trenčín on Friday November 10th at 07:00 pm! ‘Samuel in the Clouds’ has been selected to be screened at a discussion night at the 16th edition of Le Grand Bivouac in Albertville, France! The festival, which encourages cultural diversity, has invited many professionals that know the Andean environment and its culture to talk about the issue of climate change for this film event.The event will take place on the 20st of October.